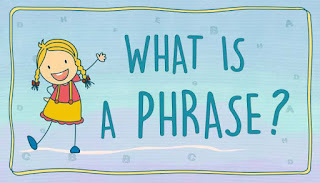 Having explained clauses (noun clause, adjectival clause and adverbial clause) and their grammatical functions, we shall be discussing phrases (noun phrase, adjectival phrase adverbial phrase, verb phrase and prepositional phrase) and their grammatical functions in this article. Unlike a clause, a phrase is a group of words (or possibly a word) with neither a subject nor a predicate, and it does not make complete sense. A phrase is a constituent of a sentence. In other words, a sentence is made up of phrases. For example, the sentence, "The boy behind the door is my brother," is made up of a noun phrase (The boy), a prepositional phrase (behind the door) and another noun phrase (my brother). ii. Adjectival (or Adjective) Phrase (AdjP). iii. Adverbial (or Adverb) Phrase (AdvP). 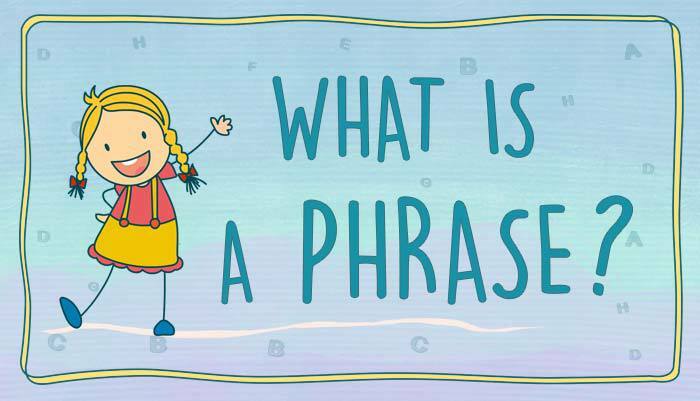 A noun phrase is a phrase that is made up of only a noun or a noun and a determiner. A noun phrase has a noun or pronoun as its headword and can be modified by an article and an adjective. The adjective can be possessive or demonstrative. In example one, the noun phrase is modified by the definite article (the). In example two, it is modified by the possessive adjective (your). And in example three, it is modified by the demonstrative adjective (that). PLEASE NOTE: A modifier can come before or after the word it modifies. For the purpose of clarity, henceforth, the term "premodify" will be used when a modifier precedes the word it modifies, and the term "post modify" will be used when a modifier comes after the word it modifies. A noun phrase can also be post modified by adjectives and prepositional phrases or clauses. Please, note that the words in bold in the examples below are the noun phrases while the modifiers are underlined. i. Something terrible (has happened). "Terrible" is an adjective and a post modifier of the noun phrase, Something terrible. In this case, we have a pronoun (something) as the headword of the noun phrase. As earlier stated, a noun phrase can either have a noun or a pronoun as its headword. ii. The boy in the room (is my nephew). In this case, the noun phrase, The boy, is post modified by the prepositional phrase, "in the room." A noun phrase functions as the subject of a clause/sentence. A subject is a word, phrase or clause which performs the action or acts upon the verb. The group of words in bold in each of the examples below is the noun phrase functioning as the subject of the sentence. i. The armed robbers have invaded the city. ii. The boy in the room is my friend. A noun phrase can function as object of a verb in a sentence. i. I met the new English teacher. "The new English teacher" is the noun phrase functioning as the object of the verb, "met." ii. His dad suspended the programme. iii. The man bought a T-shirt. When a noun phrase functions as a complement of a preposition, it comes immediately after the preposition. This helps you to easily detect a noun phrase that functions as a complement of a preposition. i. The boy behind the door is a thief. In this example, you have the noun phrase, the door, functioning as the complement of the preposition, "behind." ii. The little girl gave her pen to her brother. "Her brother" is the noun phrase complementing the preposition, "to." An object complement is a word, phrase or clause that directly follows and describes the direct object of a sentence. i. We made him our class representative. "Our class representative" is the noun phrase functioning as the complement of the object of the sentence, "him." i. The brilliant girl is my friend. "My friend", which is a noun phrase, is functioning as the complement of the sentence. ii. John is a student. An appositive is a word, phrase or clause that modifies or explains another noun or noun phrase. i. Mr Tammy, our new English teacher, is a good teacher. "Our new English teacher," which is a noun phrase, is in apposition to the noun phrase, "Mr Tammy." ii. 2baba, the musician, is very rich. "The musician" is in apposition to the noun, "2baba." An adjectival phrase is a phrase that has an adjective as its headword. 1. An adjectival phrase can function as a complement to a finite or nonfinite clause. i. To speak in class is very difficult (for some children). "Very difficult" is an adjectival phrase functioning as a complement to the nonfinite clause, "To speak in class." ii. What he did is totally unacceptable. "Totally unacceptable" is an adjectival phrase which complements the finite clause, "What he did." 2. Adjectival phrases "premodify" nouns. ii. Very intelligent young men. Note: In the examples below, the adjectival phrases are in bold while the nouns they modify are italicized. 3. Adjectival phrases function as subject complements and object complements. i. The singer is exceptionally good. "Exceptionally good" is an adjectival phrase complementing "The singer," which is the subject of the clause/sentence. ii. He made his children very useful. "Very useful" is an adjectival phrase complementing "his children," which is the object of the clause/sentence. An adverbial phrase (or adverb phrase) is a phrase that has an adverb as its headword. An adverb phrase consists of one or more words. The adverb is the head of the phrase and can appear alone or it can be modified by other words. An adverb (or adverbial phrase) can modify a verb, an adjective, a fellow adverb, or even an entire sentence or main clause. An adverb (or adverbial phrase) functions as a modifier in an adjectival phrase. In the examples below, the adjectival or adjective phrases are in bold. The adverbs that modify the adjectives are underlined. i. Your piercingly loud scream has broken the silence. ii. Employees who are regularly absent will be disciplined. An adverb (or adverbial phrase) functions as a headword in an adverbial phrase. The headwords are underlined. An adverb (or adverbial phrase) modifies a verb in a sentence. i. He sings very well. "Very well" is an adverbial phrase modifying the verb, "sings." ii. I eat quite healthily. "Quite healthily" is an adverbial phrase modifying the verb, "eat." An adverbial is a word, phrase or clause that modifies a verb, an adjective or an entire clause by providing information such as time, place, manner, condition, frequency, reason or purpose. i. Husbands should speak for their wives adoringly. ii. Ade drove the car very carefully. iii. They almost never invite people to their house these days. A Verb Phrase (VP) is headed by a verb. It functions primarily as a predicate in the structure of a clause. A verb phrase, like any other phrase, has a modifier and a headword. The modifier is an optional element while the headword is an obligatory element in verb phrase structure. Lexical verbs function as headwords in the structure of a verb phrase whereas auxiliary verbs (if present) function as modifiers in the structure of a verb phrase. vi. am going to attend. x. would have been done. A prepositional phrase is a phrase that is headed by a preposition. It is made up of a preposition (which is its headword) and a noun/pronoun/noun phrase (which is its object). Examples of prepositional phrases are: in the room, behind the door, in front of the house etc. i. The book on the desk is the one I want to buy. "On the desk" is the prepositional phrase modifying the noun phrase, The book. ii. The bag beside you is mine. "Beside you" is a prepositional phrase modifying the noun phrase, The bag. 2. As a modifier of a verb/verb phrase in a sentence. When a prepositional phrase modifies a verb/verb phrase in a sentence, it functions as an adverb/adverbial phrase. It provides information such as where, when, how etc. i. It annoys me when people sleep during prayers. "During prayers" is a prepositional phrase modifying the verb, sleep. ii. I kept it under the bed. "Under the bed" is a prepositional phrase modifying the verb, kept. From the examples above, it is obvious that prepositions and prepositional phrases provide important details about the words they modify.